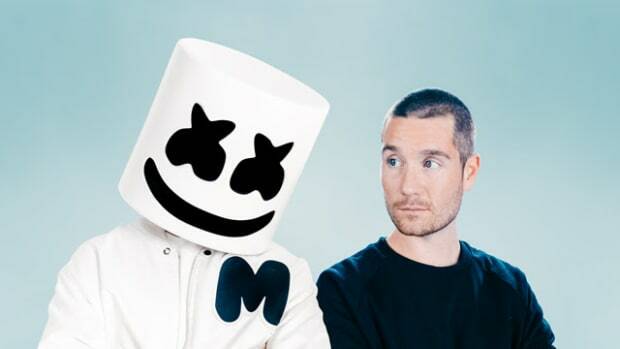 This is technically the third music video for "Happier" by Marshmello and Bastille. 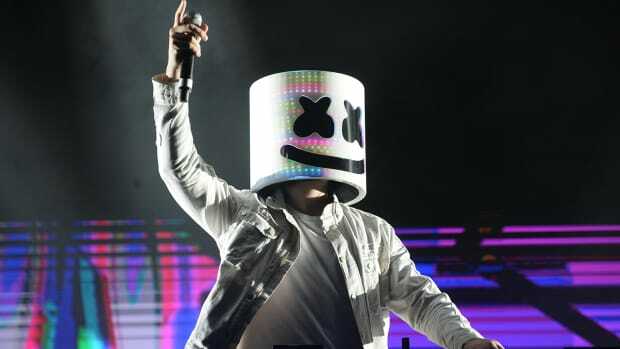 Marshmello and Bastille&apos;s teams may have concluded that a music video where a little girl&apos;s dog dies was a bit dark for their target audience. The two acts have uploaded an "Alternate Music Video" with much more lighthearted themes. 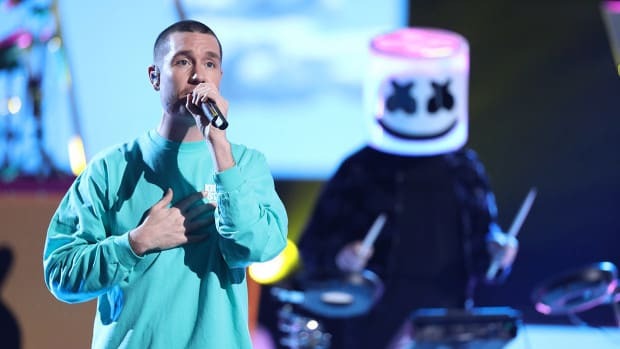 The video is a montage of clips that show Bastille frontman Dan Smith singing while Marshmello plays instruments and dances. Some of the clips are split screened, and at other times both artists are captured in the same frame. The most recent video is actually the third one for Mashmello and Bastille&apos;s happier. The first one, a lyric video, came out when the song did in August, and the second arrived two months ago. 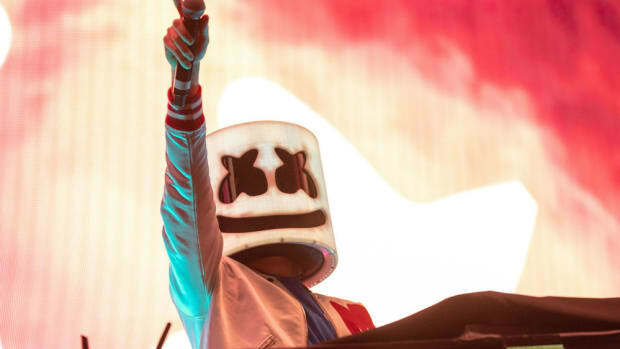 Over the past few years, Marshmello has catapulted into the mainstream orbit. 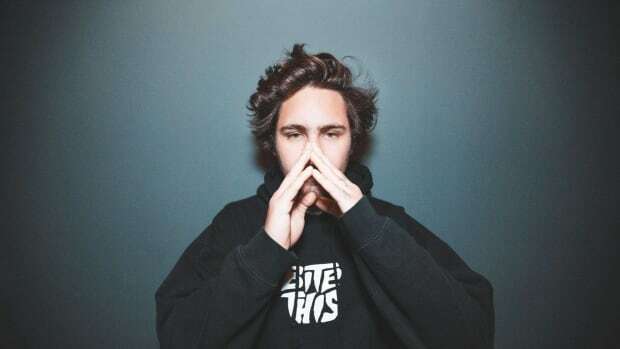 In addition to collaborations with household hip-hop names like Tyga and Chris Brown, the anonymous DJ/producer has reportedly brought in a staggering $44 million in the last two years. Bastille&apos;s history extends further back; they formed in 2010, and first garnered worldwide acclaim for their 2012 single, "Bad Blood." 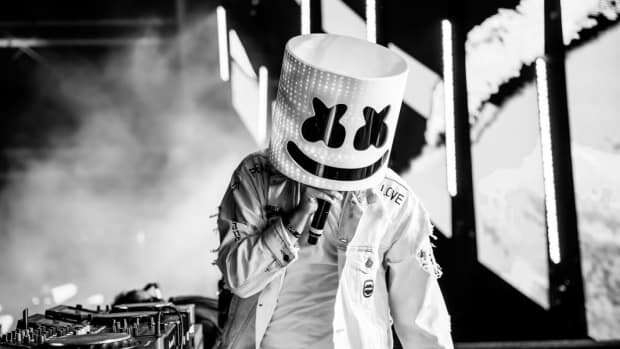 Stream or download "Happier" by Marshmello and Bastille across platforms here.